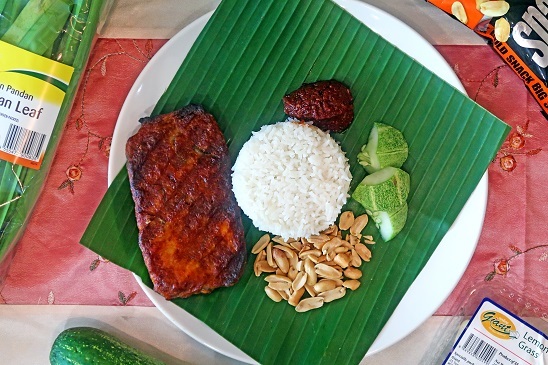 Learn to make these 3 quick and yummy local favourites, featuring Nasi Lemak, Chicken Satay and Chendol! Add water, salt, sugar and lemongrass to coconut milk and set aside. Pour coconut milk mixture onto rice and steam rice in rice cooker. Serve on banana leaf with condiments on the side. Cut chicken thigh into thin slices. Use the back of knife to cut fiber of chicken thigh into strips. Thread chicken strips on satay stick. 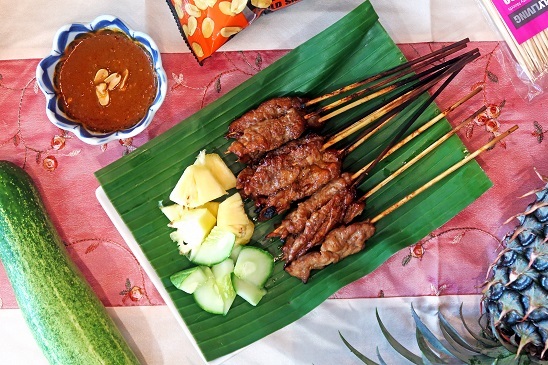 Pour marinate mixture onto chicken satay sticks and ensure fully coated. Marinate for at least 10 minutes. Serve with cucumber and pineapple (optional). Mix 250ml of coconut milk, 100g of ice cubes and 120g of Gula Melaka and blend well. Wash and drain kidney beans. Pour kidney beans into a pot, then add 5 tbsp of sugar and 100ml of water and boil for 5 minutes. 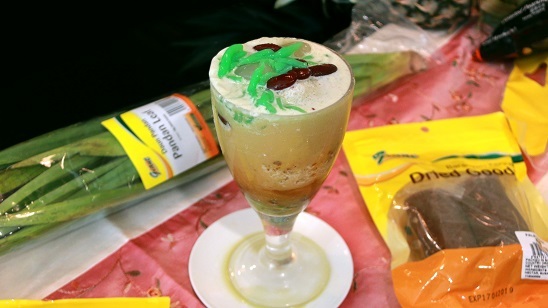 Pour mixture into glass, then add chendol jelly, attap seed and kidney beans. *If using ready Adzuki bean in can, no need to cook. Looking for more Cooking Recipes? Learn to make these quick, affordable and yummy sliders for your Christmas Party! Learn to make these 2 quick and yummy moon cakes featuring crispy moon cake and pumpkin mochi moon cake! Learn to make these 3 quick and yummy instant noodles recipes, featuring Baked Maggi with Broccoli, Stir Fry Korean Noodles and instant ramen burger! Learn to make these 3 quick and yummy Hari Raya recipes, featuring Rendang prawns, Bubur Pulut Hitam and almond cornflakes cookies with cranberry bits! Learn to make these 3 quick and yummy pre-dawn meals recipes, featuring your favourite dates! Save time so that you can catch up on more beauty sleep! Quickly buy some dates to make these energy boosting dishes to save time & money!